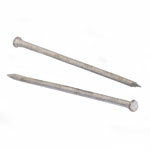 Bright Annular Ring Shank Wire Nails - Available in stainless steel Sourced from quality manufacturers and manufactured to meet all British and European standards, Beacon stock a vast range of wire nails made in all finishes and also stock stainless steel nails.Sold per kg - Bulk box size.. 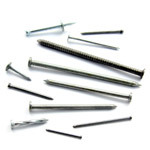 Bright Cut Clasp Nails Sourced from quality manufacturers and manufactured to meet all British and European standards, Beacon stock a vast range of wire nails made in all finishes and also stock stainless steel nails.Sold per kg - Bulk box size available (20kg)Please call our sales team.. Bright Lost Head Wire Nails Sourced from quality manufacturers and manufactured to meet all British and European standards, Beacon stock a vast range of wire nails made in all finishes and also stock stainless steel nails.Sold per kg - Bulk box size available (20kg)Please call our sales.. Bright Oval Wire Nails Sourced from quality manufacturers and manufactured to meet all British and European standards, Beacon stock a vast range of wire nails made in all finishes and also stock stainless steel nails.Sold per kg - Bulk box size available (20kg)Please call our sales team.. Bright Panel Pins Sourced from quality manufacturers and manufactured to meet all British and European standards, Beacon stock a vast range of wire nails made in all finishes and also stock stainless steel nails.Sold per kg - Bulk box size available (20kg)Please call our sales team.. Bright Round Wire Nails Sourced from quality manufacturers and manufactured to meet all British and European standards, Beacon stock a vast range of wire nails made in all finishes and also stock stainless steel nails.Sold per kg - Bulk box size available (20kg)Please call our sales.. 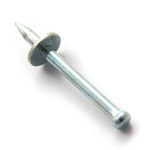 Extra Large Head Galvanized Clout NailsSourced from quality manufacturers and manufactured to meet all British and European standards, Beacon stock a vast range of wire nails made in all finishes and also stock stainless steel nails.Sold per kg - Bulk box size available (20kg)Please call..
Galvanized Clout Nails Sourced from quality manufacturers and manufactured to meet all British and European standards, Beacon stock a vast range of wire nails made in all finishes and also stock stainless steel nails.Sold per kg - Bulk box size available (20kg)Please call our sales team..
Galvanized Oval Wire Nails Sourced from quality manufacturers and manufactured to meet all British and European standards, Beacon stock a vast range of wire nails made in all finishes and also stock stainless steel nails.Sold per kg - Bulk box size available (20kg)Please call our sales team..
Galvanized Round Wire Nails Sourced from quality manufacturers and manufactured to meet all British and European standards, Beacon stock a vast range of wire nails made in all finishes and also stock stainless steel nails.Sold per kg - Bulk box size available (20kg)Please call our sales..
Galvanized Wire Staples Sourced from quality manufacturers and manufactured to meet all British and European standards, Beacon stock a vast range of wire nails made in all finishes and also stock stainless steel nails.Sold per kg - Bulk box size available (20kg)Please call our sales team..
Plated Annular Ring Shank Wire Nails Sourced from quality manufacturers and manufactured to meet all British and European standards, Beacon stock a vast range of wire nails made in all finishes and also stock stainless steel nails.Sold per kg - Bulk box size available (20kg)Please call..
Sourced from quality manufacturers and manufactured to meet all British and European standards, Beacon stock a vast range of wire nails made in all finishes and also stock stainless steel nails.Sold per kg - Bulk box size available (20kg)Please call our sales team for more information and..
Square Twist Galvanized Nails - 30mm Sourced from quality manufacturers and manufactured to meet all British and European standards, Beacon stock a vast range of wire nails made in all finishes and also stock stainless steel nails.Sold per kg - Bulk box size available (20kg)Please call our.. Stainless Steel Wire Nails Sourced from quality manufacturers and manufactured to meet all British and European standards, Beacon stock a vast range of wire nails made in all finishes and also stock stainless steel nails.Sold per kg - Bulk box size available (20kg)Please call our sales team..